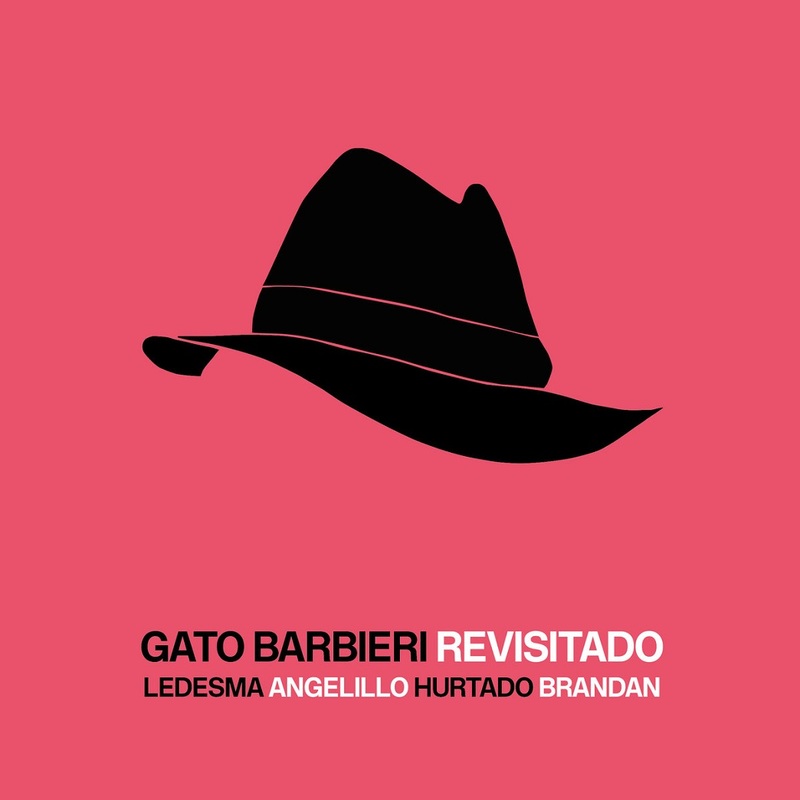 Nunca Mas, Last tango in Paris, Encuentros, y la Guerra del Cerdo compuestos por el Gato Barbieri. Primer tango en La Plata, Estas con nosotros y A Carla Bley compuestos por Pablo Ledesma. Eternal Charlie compuesto por Pepe Angelillo. 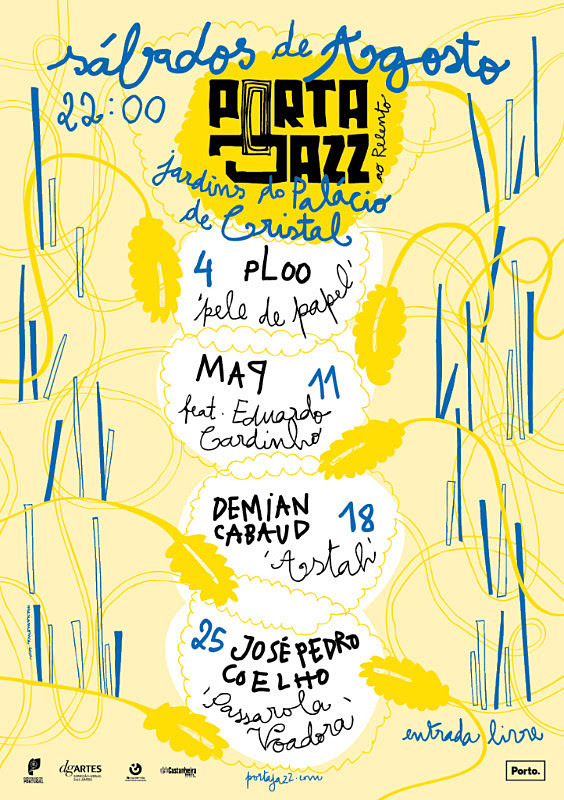 Este será o terceiro concerto do Porta-Jazz ao Relento 2018, apresentado em parceria com a Porto Lazer. O Porta-Jazz ao Relento é uma oportunidade para ouvir ao vivo alguns dos mais recentes projectos editados com Carimbo da Porta-Jazz. 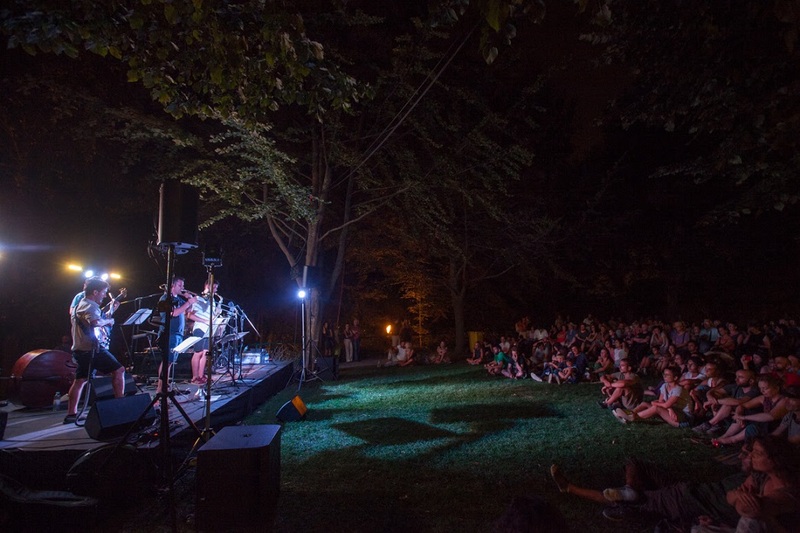 Concertos sempre aos Sábados às 22:00, nos jardins do Palácio de Cristal, com entrada livre. Este projecto é o sexto e mais recente álbum do Cabaud , “Astah”. É uma experiência intensa e fresca , já que as duas baterias trazem uma grande quantidade de possibilidades tanto em dinâmicas quanto em direções musicais , liderados pela experiência de uma verdadeira lenda do jazz, Jeff William. As composições têm sempre aquele fator de abertura que caracteriza a música do Cabaud , deixando espaço para que cada elemento expresse o seu ponto de vista e deixe impressa a sua própria personalidade. O resultado é sempre fresco e nunca se repete . 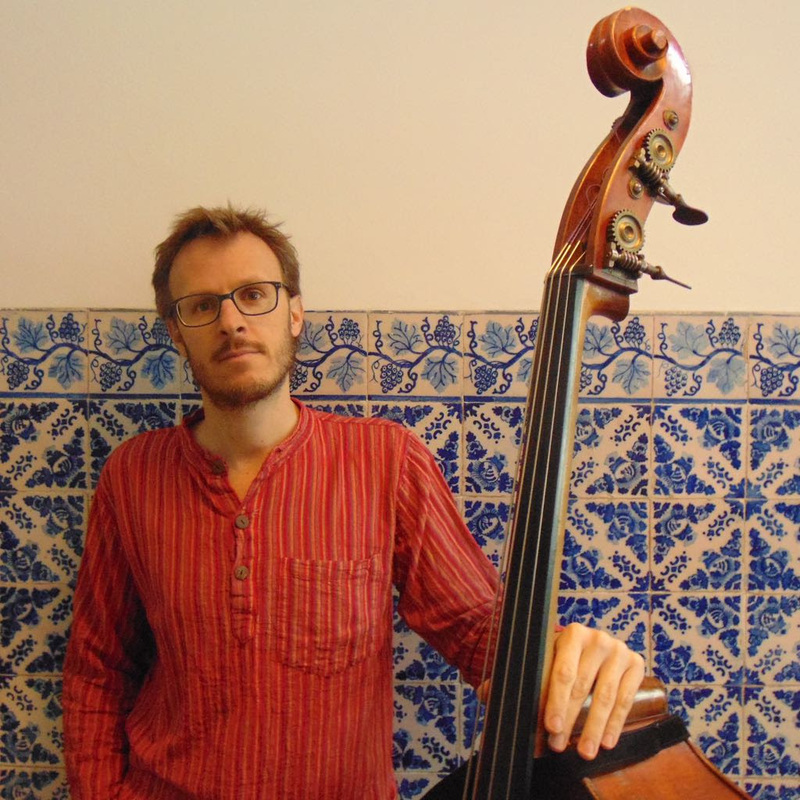 A essência da música está enraizada no jazz tradicional , com muitos momentos livres / improvisados e um “cheirinho” de música tradicional da Argentina . 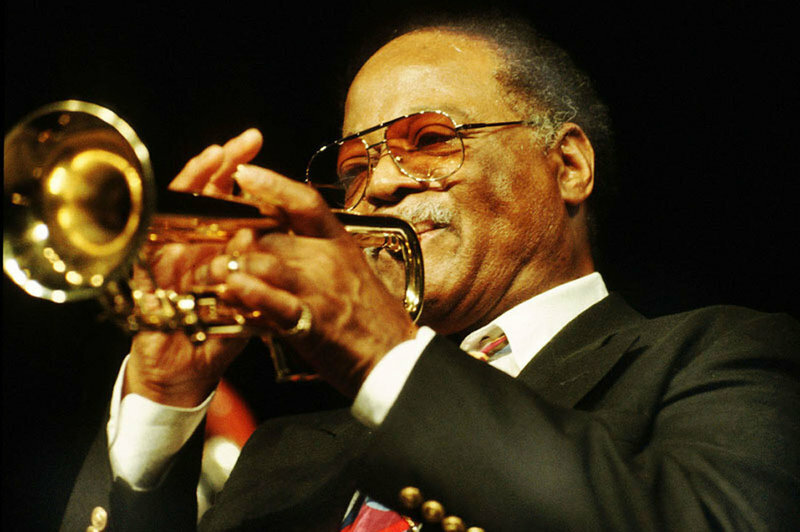 Clark Terry (1920-2015) was one of the most prolific Jazz trumpeters in history, performing with Count Basie, Duke Ellingston, Quincy Jones, Thelonious Monk, Charles Mingus, Oscar Peterson, Billie Holiday, and Ella Fitzgerald. 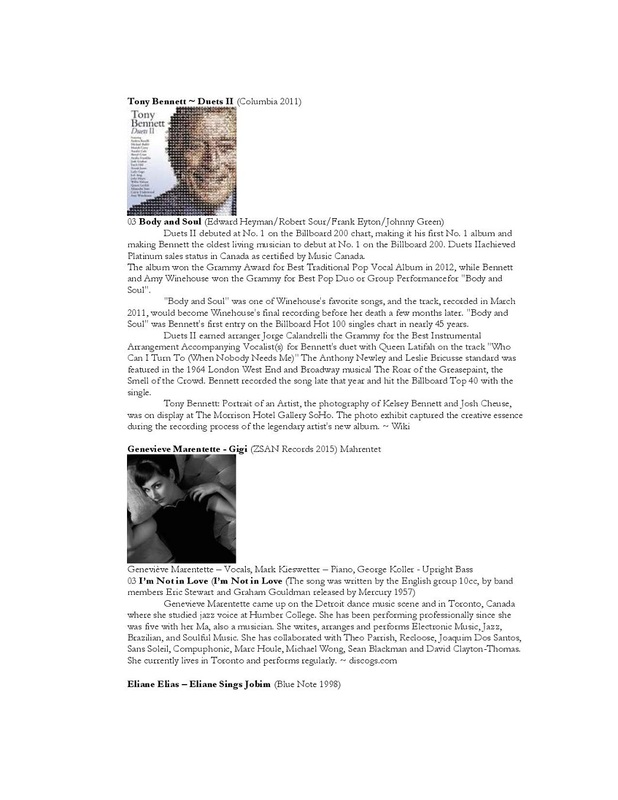 His lasting legacy on the medium of Jazz will continue to be felt for generations to come. 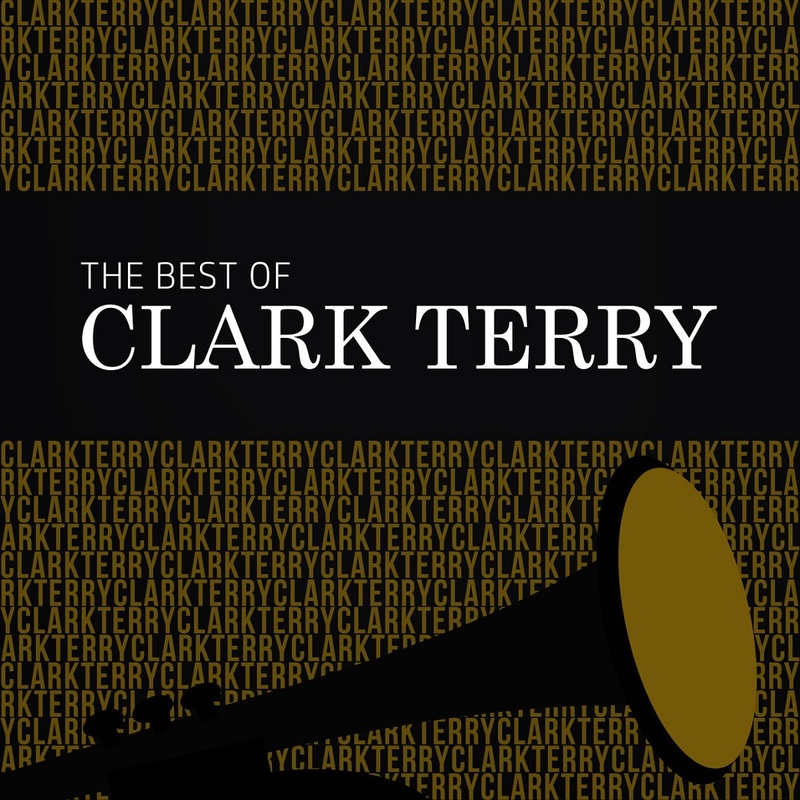 We're honored to present you with this collection of his greatest musical achievements as a member of the Chesky family. 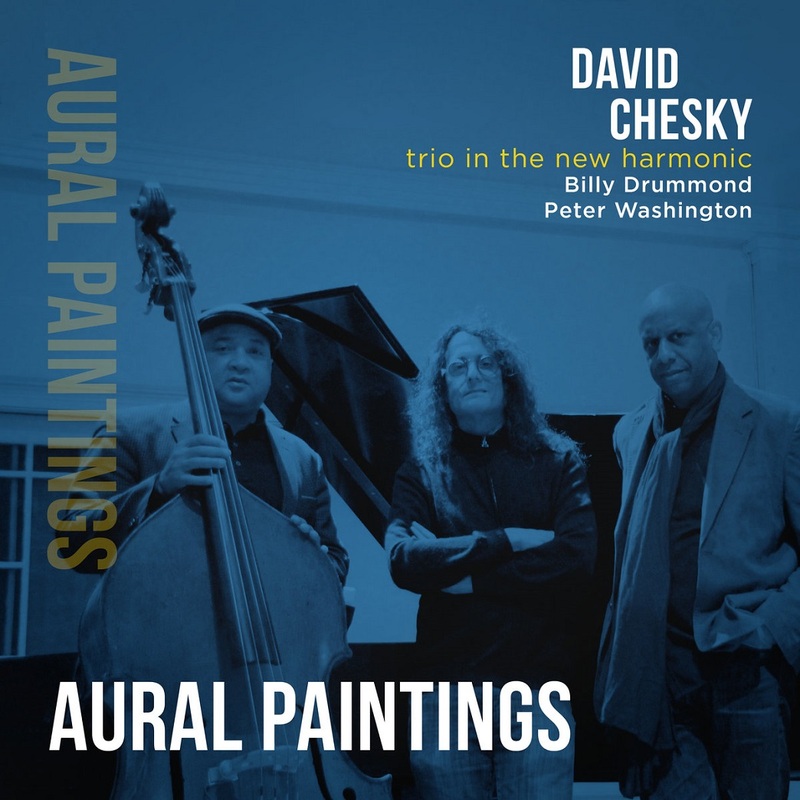 While conceived as a series of tonal paintings, somehow David Chesky's cornucopia of oblique ruminations on TRIO IN THE NEW HARMONIC suggest to this scribe something more declamatory, and poetically austere, like some non-denominational evening service at a distant Northern latitude and longitude, bathed in a wintery glow, with the faint promise of spring colors peeking through the firmament-illuminating a largely black and white canvas with pastel intimations of some elusive wakening. 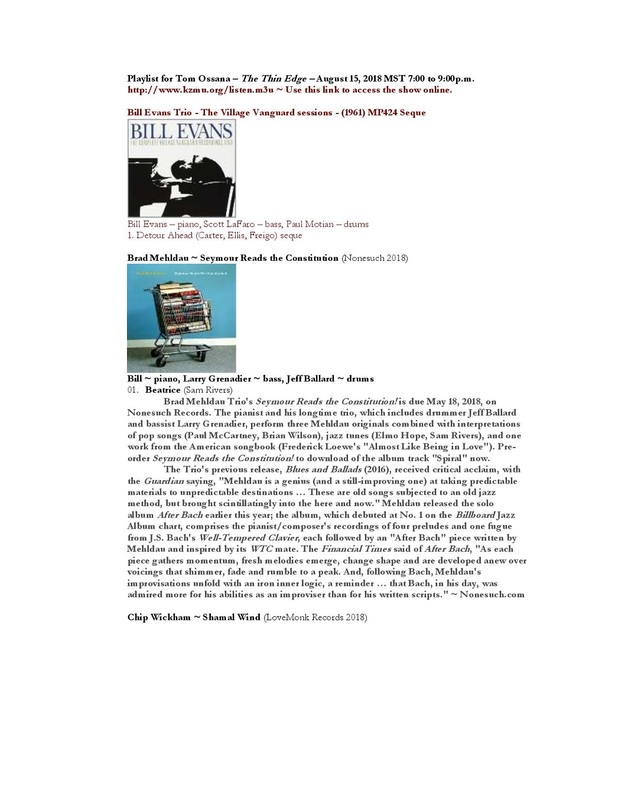 As such, the sonic pedigree of Chesky's conceptions, informed as they are on one hand by a tonality redolent of the Second Viennese School of Arnold Schonberg, Alban Berg and Anton Webern, and a collective improvisational sensibility which evokes the prayerful impressionistic ruminations of Bill Evans, Herbie Hancock and Paul Bley, suggests elements of both 20th Century Classicism and of Modern Jazz in its most chamber like iterations. But the more I immerse myself in the pointillistic hues of Chesky's pianistic abstractions-mated as they are to the elegant earthen countenance of Peter Washington's bass and Billy Drummond's veiled invocations of skin and bronze-the less the music puts me in mind of European classicism or of a piano trio in the Modern Jazz sense, and the more it suggests subliminal streams of Americana in the iconoclastic tradition of a composer such as Charles Ives-plugged in as he was to undercurrents of a rustic past, which spoke to something half-remembered in our mythological unconscious, yet betokening a future barely imaginable when this renegade composer first fashioned his own iteration of the new harmonic, straddling as it did the 19th and 20th century, while shrugging off many of those well-travelled European conventions with intimations of some bold new beyond. 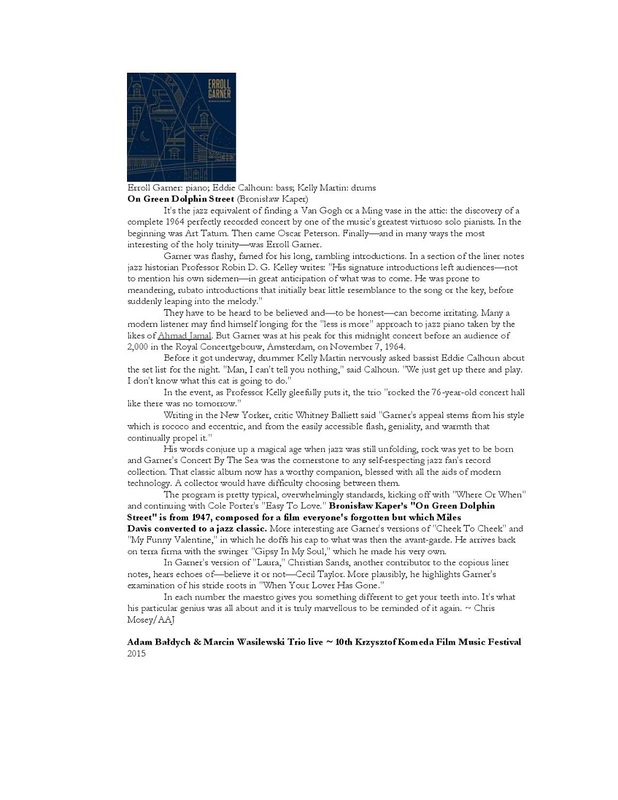 Chesky's own new harmonic evokes a sense of time and place less quaintly rural and small town than that of the Tribal Elder Ives-more rooted as it is in a decidedly urban sense of…becoming. 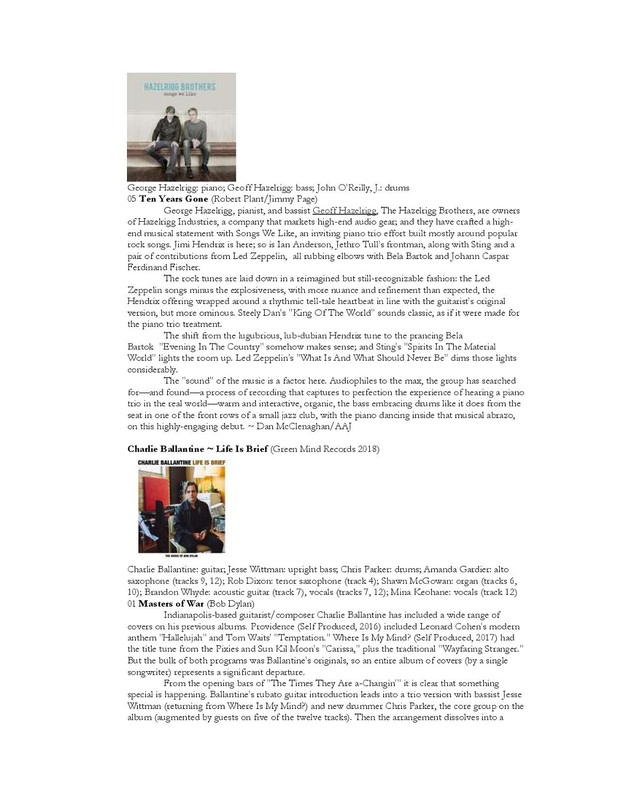 Chesky's is a chamber music chrysalis seeking to be reborn as a post-modern jazz trio in the left wing traditions of those American pianists, who while they were surely informed by the harmonic cycles of Tin Pan Alley song forms, and a blues/ragtime/swing based tradition of the piano in its virtuoso approximation of post-bop orchestral power, were not beholden to it; seeking instead to depict a more abstract canvas, a painterly sense of the piano's potential for said chamber music sensibility in which, while there is considerable heat applied to the collective improvisational pot, things are consciously never quite fired up to a full boil. Reflecting as it does the pianist's fascination with cubist chordal juxtapositions-in lieu of more traditional diatonic steeplechases-repeated immersions into the highways and byways of Chesky's new harmonic reward the listener with fresh epiphanies, unwilling as David is to reveal all of his secrets in a single sitting. Still, for those listeners who have already taken a dip into the turbulent waters of Chesky's more large scale works, such as his Piano Concerto #2, the tonal clusters, polytonal juxtapositions and calculated rhythmic apposition of David's two-fisted keyboard vocabulary will seem as old friends, though the more muted, pensive approach (not unlike the second movement in the above work) better suits the conversational intimacy of a trio. Which is why it is surely a mitzvah for Chesky to be able to engage such attentive, self-effacing listeners as Peter Washington and Billy Drummond in celebration of what I might blithely characterize as the esteemed art of comprovisation (okay, okay, so I made the word up by conflating composition and improvisation…sue me). 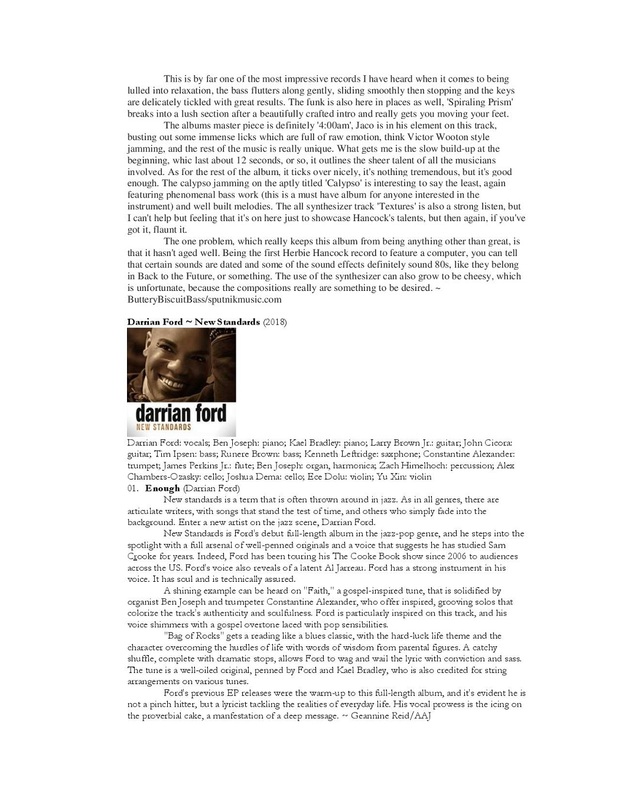 But as one who has lived with this trio for some time, and who has heard Washington and Drummond on numerous occasions-both together and separately, improvising for all they are worth in pedal to the metal bebop throw-downs-their innate ability to step up and counter-punch or to quietly recede into a more passive, supple posture, is perfectly suited to Chesky's oblique musings, as he vectors purposefully between the reactive and the reflective. 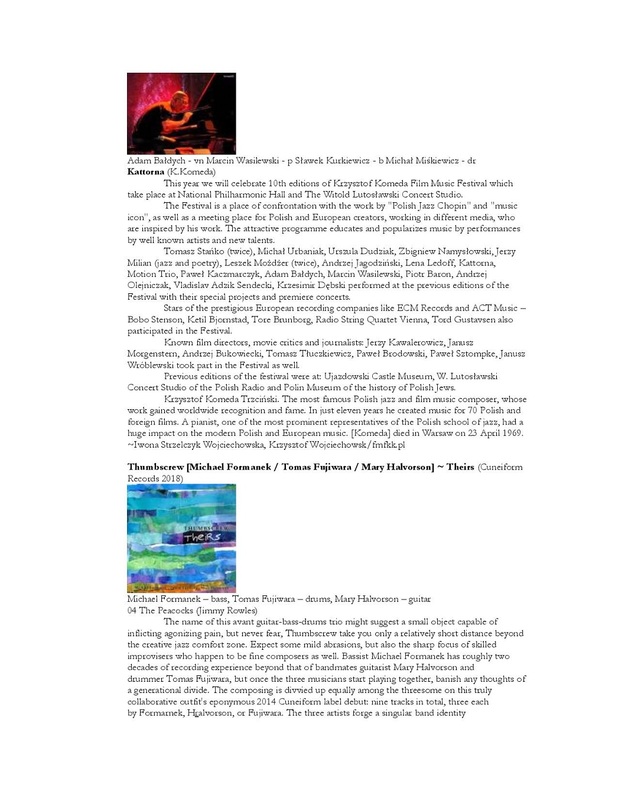 And as such-again, in the spirit of collective comprovisation-one is hard pressed to divine what aspects of their trio colloquies are composed, classically speaking, or spontaneously conceived in the best sense of what it means to be an improvising jazz musician. Be that as it may, it is not incumbent upon the listener to deconstruct the architectonic aspects of the creative process; rather, enjoy the luminous colors writ large upon this collective canvas, and enter into the conversation as an equal-an active, engaged listener. Equipment used : AEA Stereo Ribbon mic, Forssell Technologies mic pre amp, MSB A/D converter, Crystal microphone cables. Special Thank to Gilbert Soulodre for his brilliant technical assistance. "You’re hard-pressed to find rising talents more exciting than Camille Thurman." 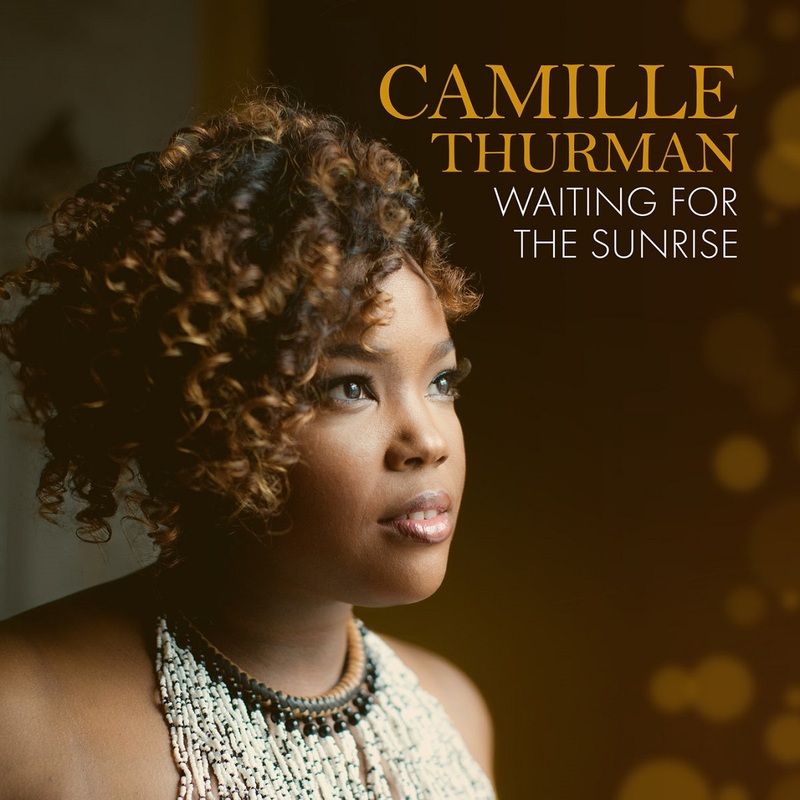 Following up her Chesky debut, Inside the Moment, which debuted #25 on the Billboard Jazz Albums Chart, Camille Thurman returns for her sophomore Chesky effort. 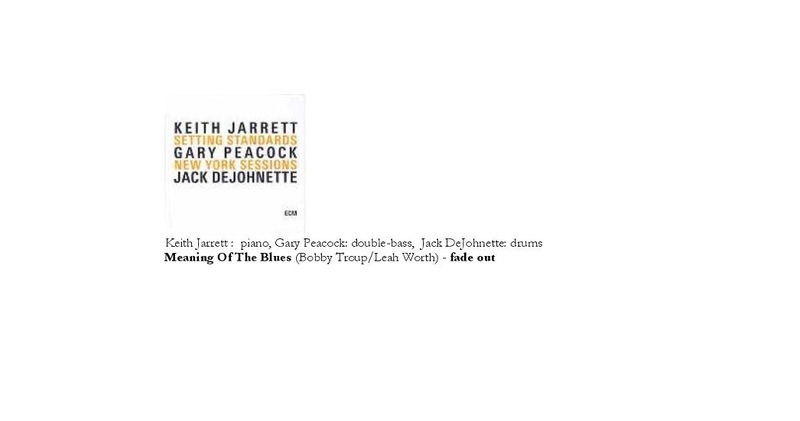 Supported by Jazz veterans Cecil McBee (Bass), Jack Wilkins (Guitar), Steve Williams (Drums), and Jeremy Pelt (Trumpet), Camille showcases her remarkable talent and potential both vocally and on saxophone on this collection of Jazz standards entitled Waiting for the Sunrise. Part of the Chesky Binaural + Series, all recorded with a single microphone, the band appears right before you with this spacious, lush and multi-dimensional recording. Now headphone users will hear the same three-dimensional sound and imaging as audiophiles have for the past 25 years with Chesky Recordings. Also these new Binaural+ Series albums capture even more spatial realism for the home audiophile market, bringing you one step closer to the actual event. 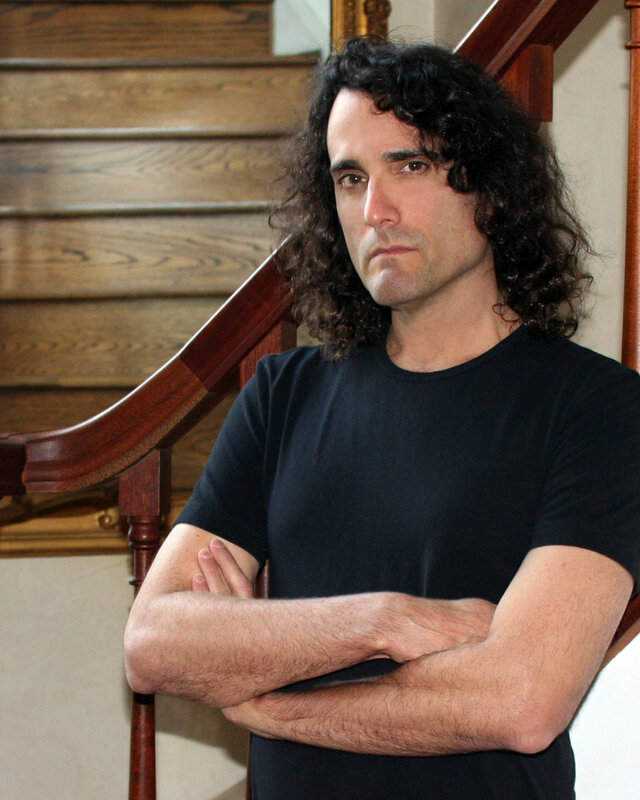 You will hear some of the most natural and pure music ever recorded. 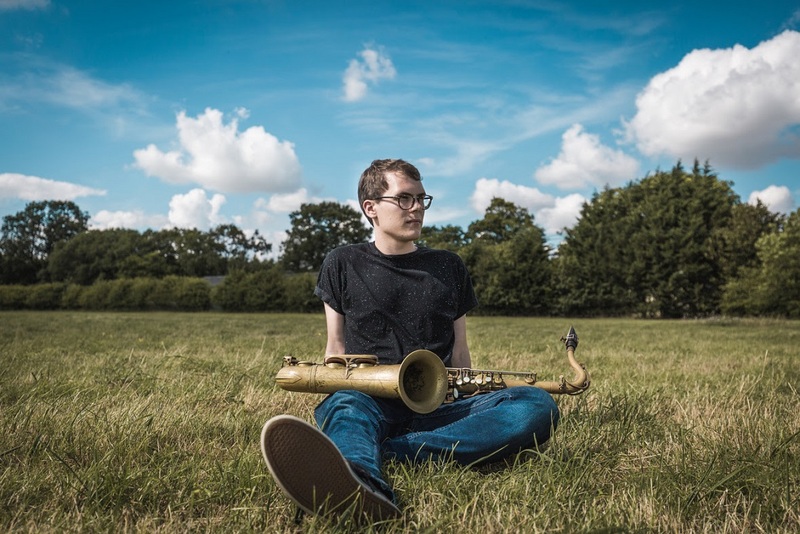 Kenny Wheeler Music Prize, composer and saxophonist Tom Barford, releases incredible debut 'Bloomer' on 31st August. 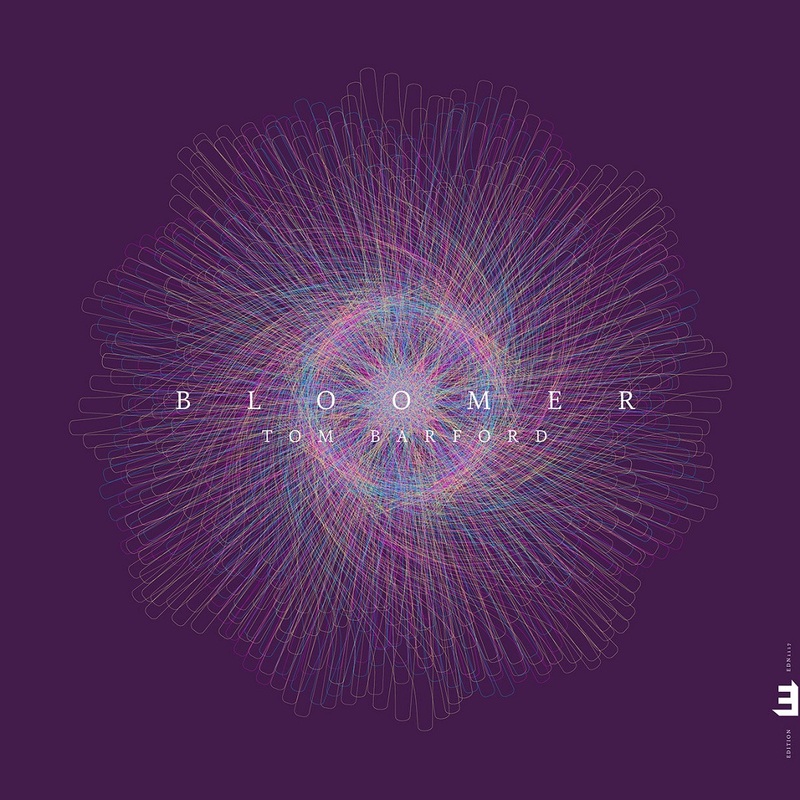 Bloomer, is richly vibrant, energetic and melodic; a recording that will launch the career of this future jazz star. 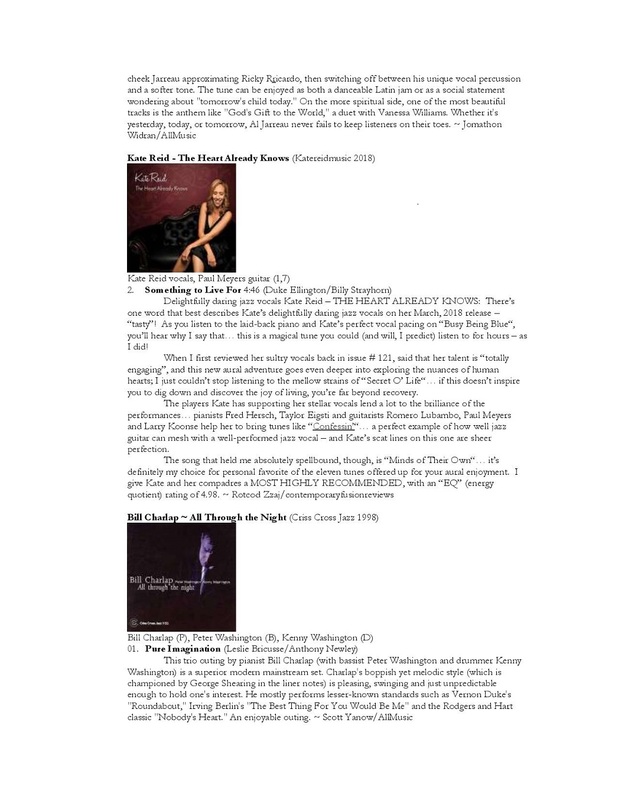 You And The Night And The Music is the debut of Lucia Jackson, a promising young jazz singer who displays a fetching voice on a set of standards along with a few surprises. 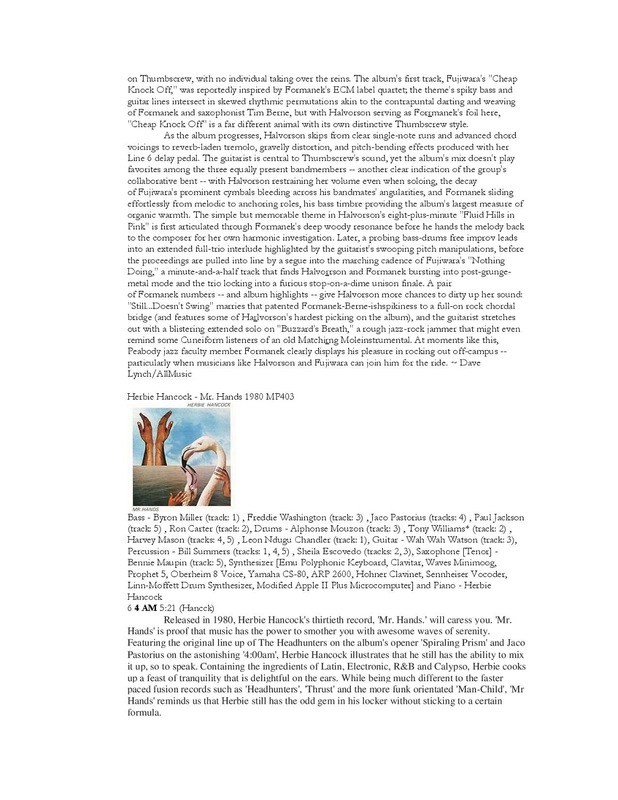 With her father, jazz guitar great Ron Jackson, contributing arrangements and leading an impressive rhythm section joined by guests, Lucia Jackson creates fresh variations of timeless material. Lucia Jackson has had busy careers as both a dancer and a model. 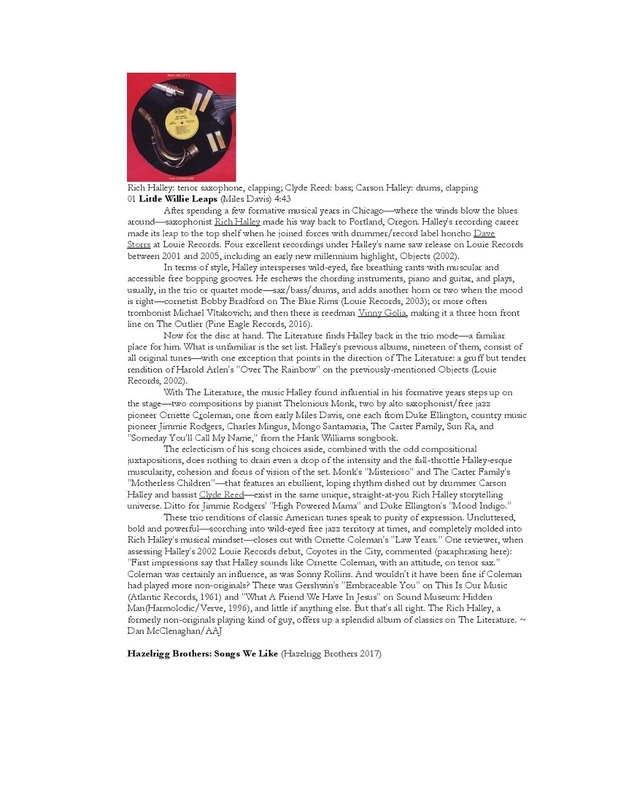 However her love of singing, her obvious talents as a vocalist, the encouragement of her father, and very favorable receptions at many venues in the New York area have led her to release her debut recording. Her many fans raised $15,000 through Indiegogo for the project. With the vocal coaching of the world renowned bassist-vocalist Nicki Parrott and an inspired repertoire, Lucia is heard at her very best throughout the program. For the memorable effort, Lucia Jackson is joined by her father Ron Jackson on guitars, pianist Yago Vazquez, bassist Matt Clohesy and drummer Corey Rawls, with guest appearances by Daniel Garcia on flamenco guitar, violinist Frederika Krier, Javier Sanchez on bandoneon and percussionist Samuel Torres playing cajon and congas. 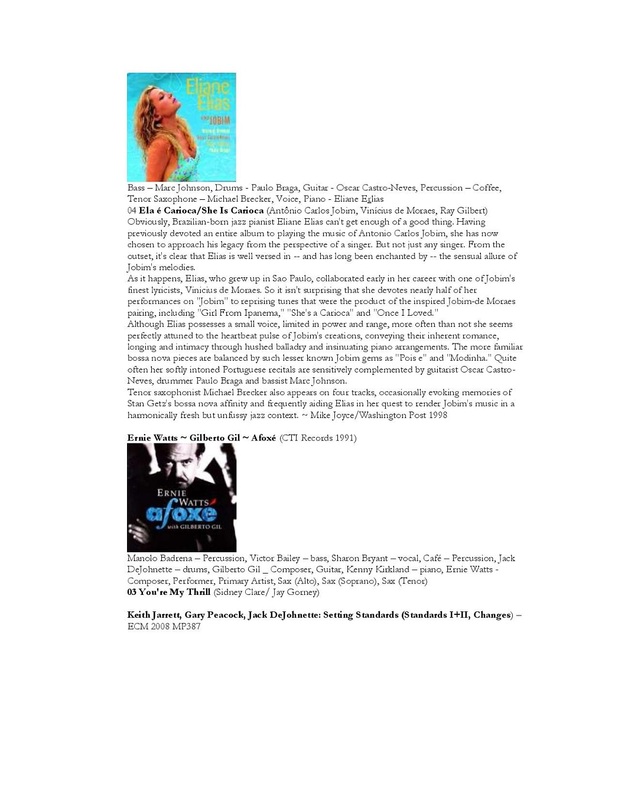 The music on You And The Night And The Music features new twists on classics from the Great American Songbook, many of which are arranged in tango, bossa-nova or bolero styles by Ron Jackson, who is also the set’s producer. 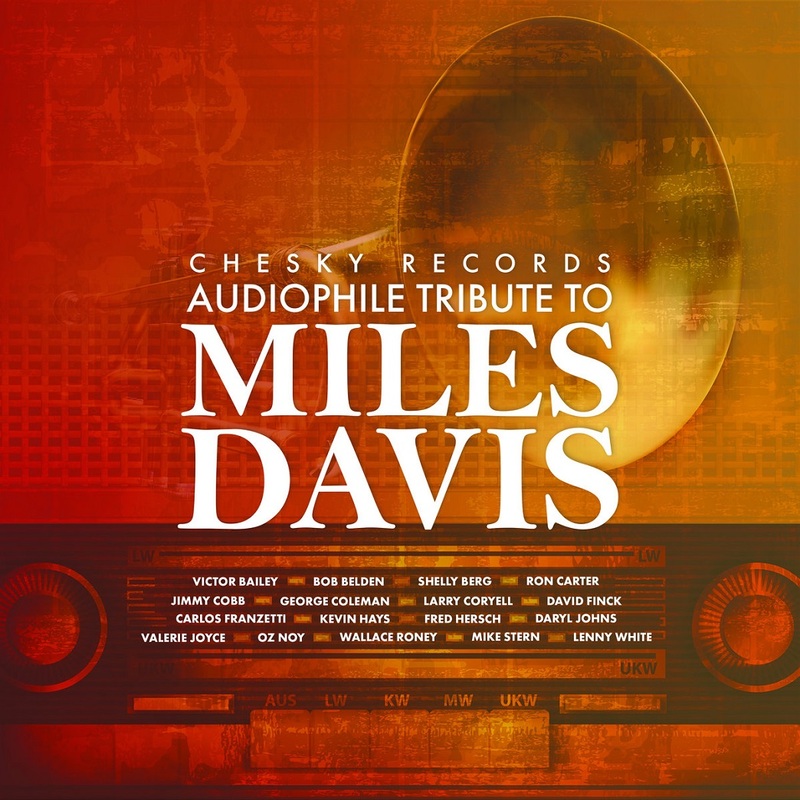 The song choices, which include not only vintage tunes that have special meanings for the singer such as “Beautiful Love,” “Sophisticated Lady” and “Never Let Me Go,” but Julia Michael’s recent “Issues,” the Beatles’ “And I Love Him,” and Ms. Jackson’s original “Feel The Love,” give the set both variety and consistent high quality. 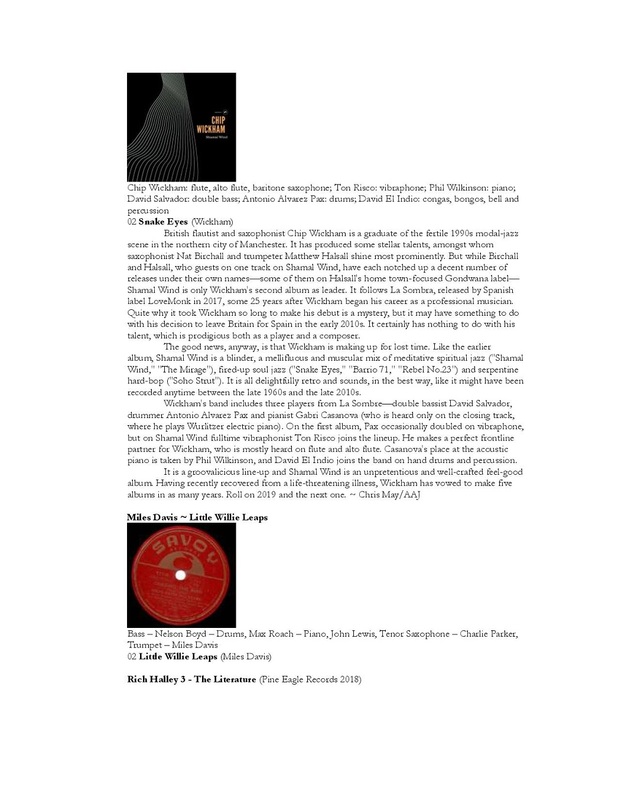 While the supporting cast is strong and Ron Jackson’s solos are colorful and tasteful, the main focus is on the young singer, who comes through in winning fashion. 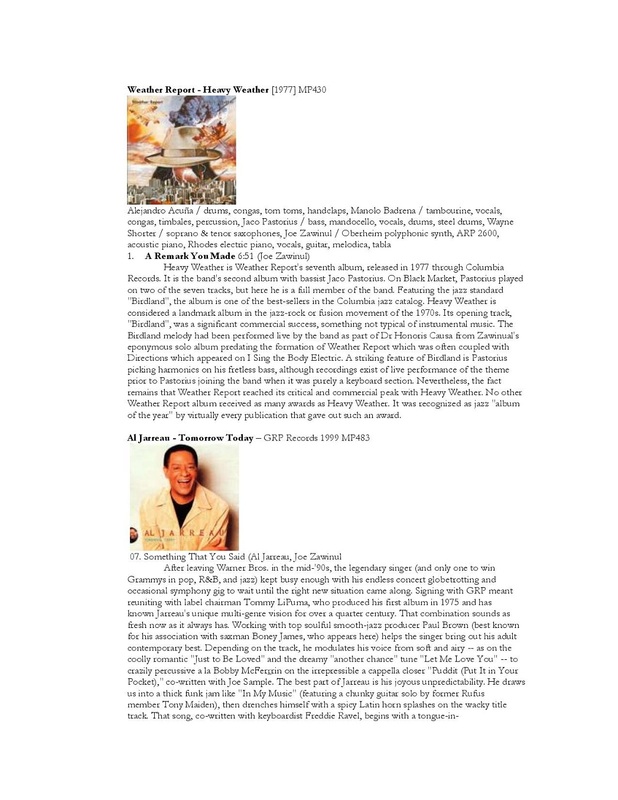 “Just One Of Those Things”: – The 1930s standard is taken uptempo, includes some superior and straightforward jazz singing, and has a hot guitar-drums tradeoff. “And I Love Him”; - The Beatles classic is transformed into a vocal-guitar duet and sung with great tenderness. “I’m A Fool To Want You”: - Lucia Jackson’s interpretation is full of quiet longing, accentuated by Frederika Krier’s passionate violin. 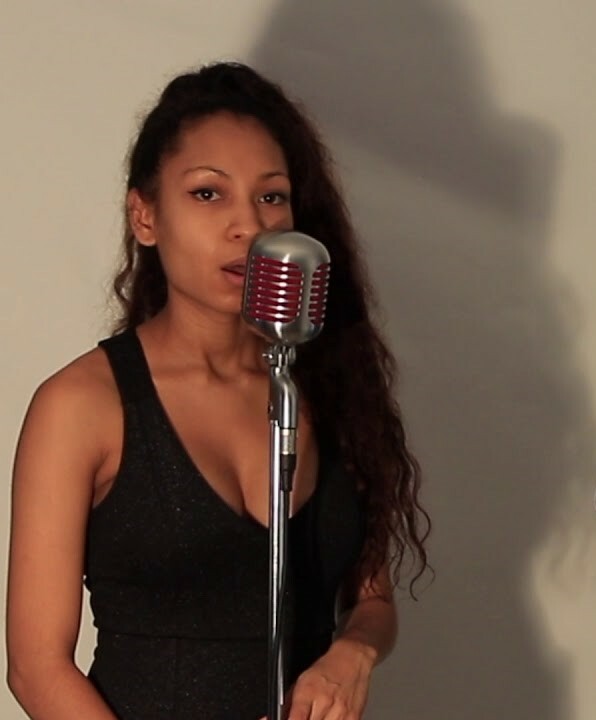 “Feel The Love”: - An original by the singer and Daniel Garcia, this piece gives her an opportunity to sing over a funky rhythm that, with Garcia’s acoustic guitar, also has the feel of flamenco. “No Regrets” and “When You’re Smiling”: - The pair of joyful swingers are each given exhilarating treatments with Ms. Jackson also scatting quite effectively on the latter. You And The Night And The Music is a significant recording debut for it introduces Lucia Jackson as a subtle and lightly swinging jazz singer, one with a very attractive and often-fetching voice who displays a quiet intensity and a real feeling for the lyrics that she interprets. Lucia Jackson, who was born in New York, grew up in Madrid, Spain where she started singing when she was ten. She studied voice and piano at the prestigious Escuela de Musica Creativa when she was 13 and also ballet and flamenco at the Professional Dance Conservatory. Returning to New York when she was 18, she has since danced with the Alvin Ailey American Dance Theatre as a guest student, at the Jacobs Pillow Dance Festival and, as a member of FJK Dance, toured China for two months. As a jazz singer, she has performed with many groups including the Bud Maltin Orchestra, Marty Schwartz, and the Art Lillard Big Band. 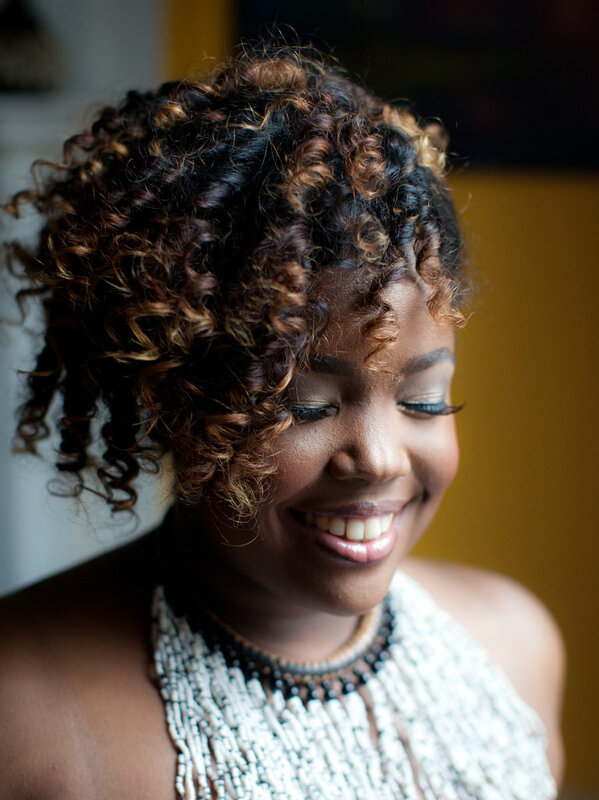 At age 26, Lucia Jackson is set to make a major splash in the jazz and music worlds with the release of You And The Night And The Music from the Roni Music label. Her large fan base, which through the Indiegogo crowdfunding campaign made the recording possible, will be pleased. 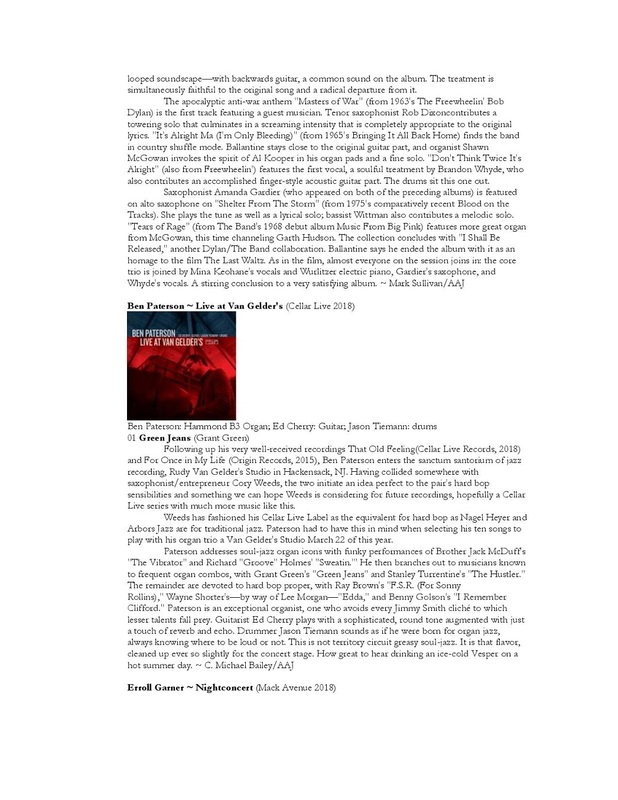 Playlist for Tom Ossana – The Thin Edge – August 15, 2018 MST 7:00 to 9:00p.m.